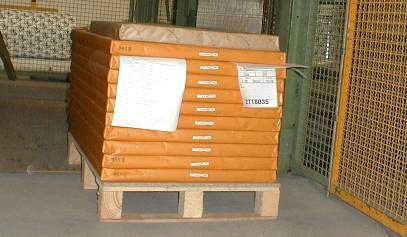 The two servo motors positions packs of paper sheets on pallets. The HAX amplifiers are used in speed mode and controlled by a PLC from Telemecanique, model TSX47-40. For the encoder connection to the PLC the HAX-ENC is used. This is a special adapter to make it simple to connect the encoder input from to motor also the PLC. 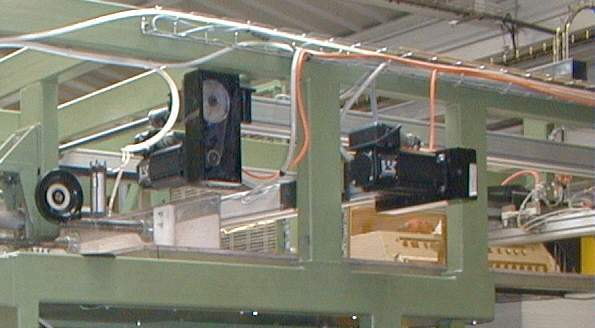 The mounting of the servo motors on the mechanic unit. 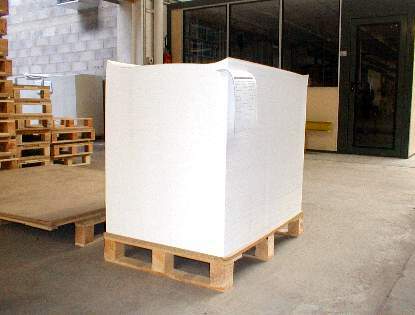 This photo shows the paper at the input side of the packing machine. Here are the packed products.